Auction sniping, the practice of bidding in the very last moments of an auction, isn't the controversial issue it was in the early days of eBay, but it's still a topic of debate: Some say it's cheating, but eBay does not forbid sniping or the use of sniping service websites to help you secure an item in the last second. Since eBay’s auctions end at a specific time, it's possible (and, in fact, common) for buyers to wait until seconds before the auction closes to put in their final high bid. Even if competing bidders may have been willing to bid higher, they can't because time runs out. Fans of auction sniping say this approach produces lower auction closing prices due to fewer total bids and reduces the time-consuming need to monitor and bid on existing listings. It's worth noting that eBay already has a built-in proxy system that allows bidders to enter their predetermined maximum bid. 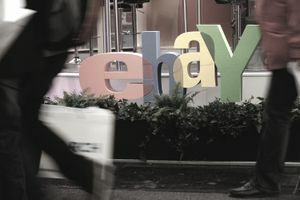 Even if a sniper or sniping site places a bid at the last moment, eBay immediately responds, as veteran shoppers know, with a customer's prearranged counterbid, leaving the sniper from the sniping service as the one with no time to respond. Anyone is free to use eBay’s built-in proxy bidding service, just as anyone is free to snipe. There's not a lot of difference between online auction sniping sites, and many of these services have outdated website interfaces that make dealing with them almost more frustrating than sitting on a coveted item during the last minutes of an auction. Furthermore, auction sniping sites aren't the great bargains they were once thought to be in the early days of eBay, as the built-in proxy system does much of the same work more effectively. Still, many eBay bidders want to win their auctions badly enough that they'll use any extra tools they might have at their disposal, even if that means paying a little bit more for a service that's supposed to be slightly better than a human at winning those last-second bids. As a result, most snipers are eBay newbies, who aren't familiar with how the site functions and need the extra assistance from sniping services. For experienced eBay customers, sniping sites tend to have little value. Bidnapper offers a $49.99 annual subscription. eSnipe offers a 1 percent win fee up to $1,000 and a $10 fee for any bid higher than that. EZsniper offers a 1 percent per-win fee or annual subscription for $79.99. Whatever sniping service you ultimately choose to use, remember that web-based sniping systems need your eBay login information in order to place bids on your behalf. For this reason, you need to understand the safety measures that a sniping service has in place to protect you. Most importantly, your eBay login and password should not match your login and password information for any other sites that you use (in particular, financial sites like PayPal or your bank), just in case hackers compromise your sniping service.